So the TM practitioner with stable witnessing in waking and sleeping just has really good dualistic mindfulness? The state or position of being firmly established in "the witness" is merely being stabilized in the alaya(kun gzhi). The term "witnessing" in and of itself suggests observing phenomena from a particular standpoint. Stable witnessing is a state of detachment, In being firmly established in the "witness" phenomena appear as they normally do except there's no feeling of it being "me" or "I". The "me"(or 'that' which witnesses) is posited to be something other. So in witnessing, the body and other phenomena appear detached from the "knower". And 'that'(pure knowingness) which is disconnected is then posited to be beyond anything "knowable" because it is that which knows. 'That' which knows(pure knowingness/awareness) is considered to be a substantiated and localized substratum(even though it is considered to be formless) and for that reason it is the alaya. To describe this state, an analogy of a movie patron viewing images on a theater screen is sometimes used. The witnessing state is equivalent to stabilized œamatha (shiné), once œamatha is stabilized one is essentially proficient in "really good dualistic mindfulness" (as you said). After stabilized shiné, next step is released shiné and once released shiné is achieved and stabilized, one is said to be officially practicing dzogchen. "When you have achieved released shiné and remain in the continuation of this state, you have finally become a dzogchen practitioner." Even those proficient in advaita vedanta downplay the witnessing state as dualistic, as shown in this dialogue between Nisargadatta Maharaj and a questioner. Q: Well, you told me that I am the Supreme Reality, I believe you. What next is there for me to do? M: I told you already. Discover all that you are not. Body, feelings, thoughts, ideas, time, space, being and not-being, this or that - nothing concrete or abstract you can point out is you. A mere verbal statement will not do - you may even repeat a formula endlessly without any result whatsoever. You must watch yourself continuously - particularly your mind - moment by moment, missing nothing. This witnessing is essential for the separation of the self from the not-self. Q: The witnessing - is it not my real nature? So yes a TM practitioner with stable witnessing in waking and sleeping essentially has excellent dualistic mindfulness. I found this description of turiya which is essentially a description of being firmly established in the alaya. It elaborates on how one can solidify witnessing by transcending the position of merely observing sensory phenomena, to firmly witnessing the 3 states of waking, dream and deep sleep (as a whole) in a detached witnessing manner. Turiya seems to be the perfected witnessing state, which is still equivalent to ignorance(avidya) as far as dzogchen is concerned. "Our fundamental state of true self-knowledge is sometimes described in advaita vedanta as the state of 'wakeful sleep' or 'waking sleep' (jagrat-su?upti in Sanskrit, or nanavu-tuyil in Tamil) because, since it is a state in which we experience no duality, it is a thought-free state like sleep, but since it is at the same time a state in which we experience absolute clarity of self-knowledge, it is also a state of perfect wakefulness. Since this state of 'wakeful sleep' is beyond our three ordinary states of waking, dream and deep sleep, in advaita vedanta it is also sometimes referred to as the 'fourth state' or turiya avastha. Somewhat confusingly, however, in some texts another term is used to describe it, namely the 'fourth-transcending' or turiyatita, which has given rise to the wrong notion that beyond this 'fourth state' there is some further 'fifth state'. In truth, however, the non-dual state of true self-knowledge is the ultimate and absolute state, beyond which no other state can exist. For those who experience waking, dream and sleep, [the real state of] 'wakeful sleep', [which is] beyond [these three ordinary states], is named turiya [the 'fourth']. [However] since that turiya alone exists, [and] since the three [states] that appear [and disappear] are [in reality] non-existent, [the one real state that is thus named turiya is in fact] turiya-atita [that which transcends even the relative concept that it is the 'fourth']. Be clear [about this truth]. Our fundamental and natural state of 'wakeful sleep' or true non-dual self-knowledge is described as the 'fourth' only to impress upon us that it is a state that is beyond our three ordinary states of waking, dream and sleep. However, when we actually go beyond our three ordinary states by experiencing our fundamental state of true self-knowledge, we will discover that this fundamental state is the only real state, and that our three ordinary states are merely imaginary appearances, which are seemingly superimposed upon it, but which in reality do not exist at all. Therefore, though it is sometimes called the 'fourth state', the state of true self-knowledge or 'wakeful sleep' is in fact the only state that truly exists. Hence, since the term turiya or the 'fourth' implies the existence of three other states, it is actually not an appropriate name for the only state that truly exists. Therefore, though the true state of 'wakeful sleep' is named turiya, it could more appropriately be named atita, 'that which transcends'. In other words, since it is the one absolute reality and is therefore completely devoid of all relativity, it transcends not only the three relative states of waking, dream and sleep but also the equally relative concept that it is the 'fourth' state. This is the reason why it is also described as turiyatita, a term that literally means 'that which transcends the fourth'. When all the states [waking, dream and sleep], which are seen as three, disappear in sages, who have destroyed ego [the self-conceited sense of being a separate individual], turiya [the 'fourth'], which is the exalted state, is that which predominates in them excessively as atita [that which transcends all duality and diversity]. Since the states [waking, dream and sleep] that huddle together [enveloping us] as the three components [of our life as an individual consciousness] are mere apparitions [that appear and disappear] in the non-dual atita [the one all-transcending state], [which is] the state of [our real] self, [which is known as] turiya [the 'fourth'], [and] which is pure being-consciousness ['I am'], know that for those [three illusory states] [our real] self is the Adhi? ?hana [the single base upon which they appear and disappear, and] in which they [must eventually merge and] become one. If the other three [states] were fit [to be described] as real, [only then would it be appropriate for us to say that] 'wakeful sleep', [which is the state of] pure jnana [knowledge], is the 'fourth', would it not? Since in front of turiya [the so-called 'fourth'] those other [three states] huddle together [that is, they merge together and become one], being [revealed to be] unreal [as three separate states], know that that [so-called 'fourth' state] is [in fact] atita [the transcendent state], which is [the only] one [real state]. Whereas the reality of our fundamental state of true self-knowledge is absolute, the seeming reality of our three ordinary states is merely relative — relative only to our mind, which alone knows them. However, when we experience the absolute state of true non-dual self-knowledge, we will discover that our mind was a mere apparition that never truly existed. Therefore when the phantom appearance of our mind is thus dissolved, all our three relative states of waking, dream and deep sleep, which are mere figments of our imagination, will dissolve along with it. After this dissolution of our mind, all that will remain is our natural state of 'wakeful sleep', the peaceful and non-dual state of absolute true knowledge." Rigpa(vidya) is of a different flavor, in rigpa the localized substratum(or abiding background) is empty and for this reason it(rigpa) is primordially unstained by any distinctive notions or characteristics. Though rigpa(vidya) can't be accurately described (for purposes of allowing one to get an idea of it's nature) it is sometimes said to be akin to space itself. mr.marigpa wrote:Would you please define consciousness and its relationship to rigpa? 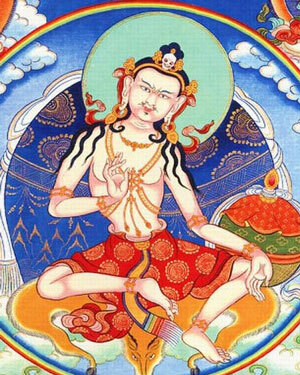 Consciousness arises from the admixture of the karmic winds with the tsal energy of rigpa. So the nature of Dharmakaya is emptiness and rigpa? Does it have any other elements? The dharmakaya is endowed with light in conformity with it’s essence, emptiness and it’s nature, clarity. What happens to consciousness when we are resting in rigpa? When we are in the state of being in instant presence or rigpa, at that moment consciousness subsides. So it would seem, since they do not have the knowledge of rigpa. trevor wrote:If witnessing is alaya, then what does it mean from dzogchen point of view when it collapses? It's said to be unstable and is supposed to collapse automatically over time. NDM: When this witness collapsed was there an energetic component to this at all? Anything unusual occur? Greg Goode: It happened suddenly. It happened when I deeply realized that all separation between self and other, all objectivity, was a set-up. Even the witness. It was like a benevolent con job. The witness is inherently unstable. Yes, it does allow you to see through the false claims of separation that everything else has. But it accomplishes this by reinscribing in a very subtle way the very same separation. When I saw this, the con job was revealed. It was as though the "gaps" between seer and seen became consciousness. In a flash, the structure of the witness and its arisings became dismantled. There was an energetic occurrence, like a flow of sparkles or heat flowing up form my fingers through the heart area and out of the top of my head. This flow lasted for about 90 minutes and then settled down and vanished. But the separation has never returned. The other dualities that go along with the witness-gestalt have never returned either, such as the feeling of "this ... this ... this" or the sense of coming and going, or the feeling that anything is being seen. None of it ever returned. NDM: Didn't Atmananda say that just being stabilized as the witness is enough for moksha? What about residual samskaras? Can one escape samsara with samskaras or still acting on certain types of negative vasanas? Greg Goode: Yes, Sri Atmananda has said several times that the witness is enough for moksha. Because of possible copyright considerations, I won't quote Sri Atmananda, but See Atmananda's NOTES, Sections 125, 205, 884, 906, 913, and 1283. NDM: Would you say that when the witness collapses, this is the end of the journey or is there more to this? Greg Goode: When the witness collapses, one is free from language, reference and the dualistic assumptions required for "pointing." You might experience things as objectless love and radiance. But again, those very words are from a particular vocabulary that might or might not assemble itself for you. You won't have any sense that language hooks on to anything. In this realization there is freedom from the very path itself. I call this freedom "joyful irony" and talk about it a lot in my new book. In this freedom, you will find yourself using language without believing language. Your freedom is non-referential. Because of this, you won't be able to find a governing spiritual standard that dictates "you are finished" or "you still have development ahead of you." Greg Goode describes a path of deconstructing objectivity by subsuming all perceptions to be One Awareness through the direct path pioneered by Advaita teacher Sri Atmananda. Through this investigation subject-object duality is subsumed into Brahman (subsuming objects into perceptions into the Awareness itself). Even though the Witness collapses into non-dual awareness free of subject-object division, it is still substantial non-duality. Whereas Dzogchen is about insubstantial (empty) non-duality. A further step from where Greg comes from would be to deconstruct the subjectivity and "One Awareness" or Brahman itself and that is where Buddhism and the teaching of anatta start to come in. P.s. Turiya (the fourth state) falls under the category "Self-Realization" in my article. Turiyatita (the state beyond the fourth) is substantial non-dualism after the collapse of the Witness. Turiyatita is the furthest that Advaita Vedanta (traditional and neo) and Kashmir Shaivism brings you. The abiding background can either be (i)awareness separate from phenomena or (ii)awareness merged with phenomena. In either case there is the faculty of awareness which is assumed to be existent. Advaita defines Brahman as being empty of attributes because it is 'that' which knows(the knower). The "knower" is attributeless because through investigation it is unaccounted for in anything perceivable or knowable. In advaita the term neti-neti is implemented (to discover this faculty) which means "not this, not that". So using this negative approach one disavows every conceivable aspect of one's experience until the "knower"(awareness) itself is all that remains. The process is much like; "I am not the body, because I am aware of the body - I am not my thoughts, because I am aware of my thoughts, etc...", so the process retracts into the realm of the formless observer. Since this formless awareness is posited to be unstained by any phenomenal appearance (or designation), it is said to be empty of attributes, unassailable and eternal. Awareness (then still assumed to be embodied) is the atman, and upon actualizing the differentiation between the atman and characteristics which allegedly compose the personal self(jivatman), and external world, the next step is to merge the atman with the brahman(universal self). "In Hindu philosophy, especially in the Vedanta school of Hinduism it refers to one's true self beyond identification with phenomena. In order to attain salvation/liberation (moksha) a human being must acquire self-knowledge (atma jnana) which is to say realise experientially that one's true self is identical with the transcendent self (paramatman) that is called Brahman." The merging of the atman and brahman resembles the process involved in buddhism, however the brahman is conceived to be an ultimate suchness. Brahman is sometimes referred to as the Absolute or Godhead which is the Divine Ground of all being. Whereas in buddhism, no such ground nor ultimate suchness exists. "If... when you examine that which abides, the mere reflexive luminosity (rang gsal) of the alaya-vijnana comes up as truly accomplished, then you approach the mistake of the Anekantavada mind-only doctrine." "We hold that the outer object does not exist, and the awareness that apprehends it does not exist either. The awareness that realizes the apprehender and apprehended as nondual is a reflexive awareness and a reflexive luminosity. This is designated as truly existent. This is the alaya-vijnana. Actions and their result are based on it." The Anekantavada position is criticized for attributing reflexive awareness with true existence. The terms reflexive awareness and reflexive luminosity are often used in the Great Perfection, and figure frequently in the Longchen Nyingtig texts themselves. Jigme Lingpa cannot criticize the use of the terms themselves. He must object to the designation of them as being truly established, that is, existent. As the passage from the Khyentse Melong suggests, this is also a criticism of the position that holds the alaya-vijnana, the basis of consciousness, as the basis of both samsaric and nirvanic awareness. For Jigme Lingpa, and his Seminal Heart sources, the alaya-vijnana is samsaric in nature, a result of delusion and separation from the ground...."
This is why the distinctions between the two types of basis are employed in Dzogchen, the nirvanic basis known as the ground(gzhi) and the samsaric basis of consciousness, the alaya(kun gzhi). One basis, two paths. is using 'empty' to show that the notion of a localized abiding substratum is erroneous because it is a dependently originated designation. It is an imputed abstraction born of delusion and is solely the product of misconstrued illusory faculties of mind, mistaken as inherent aspects of experience. These faculties do not constitute being nor non-being and certainly do not result in a localized and enduring substratum which is subject-to and/or merged in/with experience. Though the brahman is also considered to be nondual, timeless, spaceless etc... it is still considered an enduring suchness which is identified with and considered eternal. The nondual, timeless and spaceless aspects of brahman are imputed characteristics or attributes of this 'suchness'(brahman) which is posited to reside beyond the pale of one's intellect(and limited scope of understanding) because one is indeed 'that'. A description along the lines of(and I paraphrase); It hears but cannot be heard, it sees but cannot be seen, it knows but cannot be known, is used to point to the brahman which implies that one cannot know it, because one is indeed it, just as teeth cannot bite themselves, nor fire burn itself. So it has a flavor of taking your limited and temporal beingness and transforming it into a limitless and eternal suchness. Œakyamuni Buddha came along and revised this testament of eternal beingness championed by hindus/advaitins proclaiming it wasn't the final truth. He therefore created the doctrine of anatman(anatta) where he essentially stated that those who attest that the atman is equivalent to brahman are still victims of a subtle clinging which prevents them from accessing the ultimate truth. He taught that the alleged state of 'being one with brahman' is merely a re-packaging of one's present state of being, tantamount to simply labeling it as something else. The claim that one is indeed brahman(vast, eternal, undying) is merely an escape which doesn't remove the fundamental delusion (one is fastened to) because one doesn't want to lose oneself. One hasn't let go. Dzogchen avoids (the perpetual evolution of) this fundamental delusion through the direct introduction of one's true nature, which is the union of clarity(luminosity) and emptiness. So right from the start, the mistaken ground of brahman is forsaken as a delusion. This is an empty cognizance, unestablished and illusory. The aspect of ones nature which is mistaken as an abiding substratum is the clarity of the natural state. gad rgyangs wrote:there is the irreducible presence of the here and now where we find ourselves. In any event, what you are talking about is the famous "clarity" aspect of the mind, the famed Descartes trope, "I can doubt everything but that fact that I am doubting". But this hardly constitutes "the fact of the existent". xabir wrote: (quote from: http://awakeningtoreality.blogspot.sg/2011/10/zen-exploration-of-bahiya-sutta.html) Just for the sake of clarification, I would like to make it clear that I never said that "these luminous self-perceiving phenomena which are craving-free and nondual are the Ultimate", if there could still be any ambiguity about that. As shocking as it may seem, the Buddha was very clear to say that this pure impersonal objectless nondual awareness (that Vedantists called Atma in Sanskrit, Atta in Pali) is still the aggregate of consciousness and that consciousness, as pure and luminous as it can be, does not stand beyond the aggregates. Any kind of consciousness whatever, whether past, future or presently arisen, whether gross or subtle, whether in oneself or external, whether inferior or superior, whether far or near must, with right understanding how it is, be regarded thus: 'This is not mine, this is not I, this is not my self.' (Anatta-lakkhana Sutta)." "What I realized also is that authoritative self-realized students of direct students of both Ramana Maharishi and Nisargadatta Maharaj called me a 'Jnani', inviting me to give satsangs and write books, while I had not yet understood the simplest core principles of Buddhism. I realized also that the vast majority of Buddhist teachers, East and West, never went beyond the same initial insights (that Adhyashanti calls "an abiding awakening"), confusing the Atma with the ego, assuming that transcending the ego or self-center (Aha?kara in Sanskrit) was identical to what the Buddha had called anatta (Non-atma). It would seem therefore that the Buddha had realized the Self at a certain stage of his acetic years (it is not that difficult after all) and was not yet satisfied. As paradoxical as it may seem, his "divide and conquer strategy" aimed at a systematic deconstruction of the Self (Atma, Atta), reduced to -and divided into- what he then called the five aggregates of clinging and the six sense-spheres, does lead to further and deeper insights into the nature of reality. As far as I can tell, this makes me a Buddhist, not because I find Buddhism cool and trendy, but because I am unable to find other teachings and traditions that provide a complete set of tools and strategies aimed at unlocking these ultimate mysteries, even if mystics from various traditions did stumble on the same stages and insights often unknowingly. " This also means that the first step is to disembed from impermanent phenomena until the only thing that feels real is this all pervading uncreated all pervading awareness that feels like the source and substance of phenomena. Holding on to it after this realization can hower become a subtle form of grasping diguised as letting go. The second step is therefore to realize that this brightness, awakeness or luminosity is there very nature of phenomena and then only does the duality between the True Self and the appearences arising and passing within the Self dissolve, revealing the suchness of what is. The next step that I found very practical is to push the process of deconstruction a step further, realizing that all that is experienced is one of the six consciousness. In other words, there is neither a super Awareness beyond phenomena, not solid material objects, but only six streams of sensory experiences. The seen, the heard, the sensed, the tasted, the smelled and the cognized (including thoughts, emotions, and subtle thougths like absorbtion states, jhanas). At this point it is not difficult to see how relevent the Bahiya Sutta can become. This Bahiya, is how you should train yourself. nor in any place betwixt the two. However this statement could still be misinterpreted as implying that the sensory processes do indeed give way to established objects, which in turn constitute some form of suchness. Such a conclusion would be a grave misunderstanding. Namdrol wrote:Cit is alaya, something relative which is dispensible, from the perspective of Dzogchen. Ok. Here is a glossary definition of chit from a book of Ramana Maharshi's teachings: "consciousness; this is not the antonym of unconsciousness, it is unmediated self-awareness." Perhaps this is not a typical definition within the Advaita tradition or the one adopted within Dzogchen. I'm not a scholar so I wouldn't be able to seriously debate this, but this definition of chit seems to align with what in Sanskrit might be called svasamvedana, or in Tibetan, rang-rig (rang gi rig pa), which has been translated as awareness of itself or self-reflexive awareness. rang gis rig pa is not svasa?vedana. rang gi rig pa is rang rig. The latter has the genetive particle gi, where as the former was the instrumental particle gis. Rang gi rig pa i.e. svasa?vedana means knowlege of itself. This is conditioned and relative because it is a self-knowing consciousness. This is mind, not nature of the mind. so sor rang gis rig pa i.e. atmyavedana means "personal knowledge" and is the basis for rang rig in Dzogchen texts. We find this in constructions common in Dzogchen texts (as well as others) in the term so sor rang gis rig pa'i ye shes, or as Kapstein translates it "personally intuited gnosis". This nature of mind, not mind. asunthatneversets wrote:Dzogchen avoids (the perpetual evolution of) this fundamental delusion through the direct introduction of one's true nature, which is the union of clarity(luminosity) and emptiness. So right from the start, the mistaken ground of brahman is forsaken as a delusion. This is an empty cognizance, unestablished and illusory. The aspect of ones nature which is mistaken as an abiding substratum is the clarity of the natural state. Are you saying that you do not need right view in Dzogchen? If we look at case study Jax, he received direct introduction numerous times from Rinpoche, yet his experience, as he describes it, is very Brahman. "Furthermore, when [the meditator] has emerged from the alaya-vijnana, because of the blazing lamp of the dharmakaya's luminosity, his nature remains free from elaboration. However, if he has not perfected his skill in the wisdom that shines out in vipaœyana(meaning a meditational view employed in tögal in this context), then, being enveloped in the alaya as before, that lamp of luminosity will be extinguished and no longer present". So to clarify what you found questionable, I was just saying that in dzogchen (and particularly semde) the natural state is presented as the union of clarity and emptiness, and once the view is introduced/discovered it is then reinforced further (by the teacher) as a luminous emptiness implying utter absence(even though these attributes are quite explicitly known upon it's actualization). In Advaita Vedanta the state sought after is presented as an abiding suchness equivalent to one's true nature as the eternal absolute(brahman). asunthatneversets wrote:Yeah the mirror can be mistaken as representing an abiding background which has the capacity to reflect. But that is only if one focuses on the mirror as an object beholding reflections (which I'm sure is a common error but isn't what Rinpoche was suggesting). It's important to carefully investigate how the analogy is presented... it's not the mind is like the mirror, but the nature of mind is like the nature of the mirror, in that, the void nature of mind is empty yet luminous. So the essential quality (or nature) of the mirror is that it reflects, but is that essential quality or characteristic a tangible thing or suchness? Can you roll or bounce the mirror's capacity to reflect? Is that essence or capacity located anywhere? Is it blue or green? Or any color or shape? No, it isn't, it cannot be identified as 'this or that' yet it is known clear as day. And much like the mirror this innate, empty, luminous, natural essence and capacity of mind, reflects yet does not hold and remains unscathed. The reflections are not inherently part of the mirror's nature, but are product of it and inseparable from it... and "it"(the nature) is an indistinguishable quality which cannot be pigeonholed. Would it be accurate then to say that there is no mirror apart from the arising reflections, that indeed there actually is no mirror at all, only reflections? karma, continue to cause further arising. truly arisen from cause and from action." This is the real introduction to the actual condition of things." "Although [tirthikas] have many different beliefs, when condensing the root of all of them, there are two: proponents of eternalism and proponents of nihilism. The proponents of eternalism believe that either the Self, Time, the Almighty, […] is the creator of the entire world. They hold that this creator is permanent. […] The proponents of nihilism claim that the present world originated by itself without causes, such as past karma; that consciousness occurred suddenly from the four elements; and that since it is discontinued at the time of death, it is pointless to exert oneself on the path in order to achieve liberation. All of these […] are, however, proponents of the existence of a self." not even one of these appearances is actually created in reality, and so accordingly they disappear again. Are merely appearances (or phenomena) which are perceived by the individual's single nature of the mind. then there will arise appearances, which you will perceive as external changes. Therefore, everything that you see is a manifestation of mind. And, moreover, all of the beings inhabiting the six realms of rebirth perceive everything with their own distinct karmic vision. The Tirthikas who are outsiders see all this in terms of the dualism of eternalism as against nihilism. Each of the nine successive vehicles sees things in terms of its own view. Thus, things are perceived in various different ways and may be elucidated in various different ways. Because you grasped at these various (appearances that arise), becoming attached to them, errors have come into existence. Even though these appearances that you perceive do arise, if you do not grasp at them, then that is Buddhahood." In it (Dzogpa Chenpo) the essence (Ngo-Bo) of Intrinsic Awareness, the realization of the non-existence of the apprehended and apprehender, is called spontaneously arisen primordial wisdom. But Dzogpa Chenpo doesn't assert it as self-awareness and self-clarity (Rang-Rig Rang-gSal) as Yogācārya, the Mind Only School, does. Because (according to Dzogpa Chenpo), as there is no existence of internal and external, it (Intrinsic Awareness) is not established as internal mind. As there is no self and others, it isn't established as self-awareness. As the apprehended and apprehender have never existed, freedom from the two is not established. As it is not an object of experiences and awareness, the experience is not established as non-dual. As there is no mind and mental events, it does not exist as self-mind. As it does not exist as clarity or non-clarity, it is not established as self-clarity. As it transcends awareness and non-awareness, there are not even the imputations of awareness. This is called the Dzogpa Chenpo, free from extremes. Although it is designated as self-arisen primordial wisdom, enlightened mind, ultimate body, the great spontaneously accomplished ultimate sphere, and the naked self-clarity Intrinsic Awareness, these ascriptions are merely in order to signify it. It should be realized that the self-essence (of Dzogpa Chenpo) is inexpressible. Otherwise, if you take the meaning of the words literally, you will never find (in Dzogpa Chenpo) any difference from the cognition of self-awareness, self-clarity, and non-duality of apprehender and apprehended of the Mind Only School." 'Cognition of self-awareness' = self-reflexive awareness (or simply 'reflexive awareness'), it certainly isn't foreign to yogācāra and dzogchen, nor is it foreign to buddhism in general. "There is another aspect of the Yogācāra doctrine, related to the mind-only doctrine, that is criticized in Yeshe Lama and elsewhere in Jigme Lingpa's work: the concepts of reflexive awareness (rang rig) and reflexive luminosity (rang gsal). These terms near-synonyms, are fundamental of the Yogācāra understanding of the way the mind works. They refer to the activity of a mind that does not cognize phenomena as extrinsic: it is cognizant only of itself, and, like a lamp that needs no other light source to be visible, it illuminates itself. Both terms were utilized in this way by Śāntarakṣita in his eighth-century works setting out the Yogācāra Svātantrika Madhyamaka position. The Anākāravāda position is criticized for attributing reflexive awareness with true existence. The terms reflexive awareness and reflexive luminosity are often used in the Great Perfection, and figure frequently in the Longchen Nyingtig texts themselves. Jigme Lingpa cannot criticize the use of the terms themselves. He must object to the designation of them being truly established, that is, existent. As the passage from Khyenste Melong suggests, this is also a criticism of the position that holds the ālāya-vijñāna, the basis of consciousness, as the basis of both samsaric and nirvanic awareness. For Jigme Lingpa, and his Seminal Heart sources, the ālāya-vijñāna is samsaric in nature, a result of delusion and separation from the ground, as I have shown in chapter 4. Thus these criticisms of the Yogācāra are rooted in the Seminal Heart distinction between two types of basis, the nirvanic basis known as the ground (gzhi) and the samsaric basis of consciousness, the ālaya (kun gzhi). Because the distinction is not made in the Indian Yogācāra texts, the versions of reflexive awareness and reflexive luminosity found there are considered flawed. Yet the Seminal Heart owed a great debt to Yogācāra philosophy in it's treatments of both samsaric and nirvanic awareness, and this is why Jigme Lingpa, like Longchenpa before him, felt the need to strongly distinguish the differences between the models of awareness in Yogācāra and Seminal Heart literature." That's your own thesis? That's all well and good but your thesis is only validating the statement that longchenpa made above. Dzogchen doesn't implement a subject(ive)-object(ive) dichotomy but instead finds the two to be empty from the very beginning. In dzogchen, ignorance is the basis for all phenomena (dharmas), the notion of a personal self (ātman) falls under that umbrella. And this isn't regarding dzogchen but in reference to your thesis: realizing the emptiness of mind should in theory cause one to realize of the emptiness of all things, like you stated, but this isn't always the case, hence the two-fold emptiness (anattā/anātman & śūnyatā). The realization of anātman should lead to the realization of śūnyatā since both sides of the dichotomy are dependent on one another (and that the notion of a dichotomy is an imputation of mind in the first place), but depending on the amount of karmic traces one is afflicted with there is sometimes a gap in those insights. In dzogchen, the empty aspect of the nature of mind is meant to cover this two-fold emptiness from the very beginning through recognizing primordial purity. Within that primordial purity nothing has ever been established which is later revoked, so phenomena is not "cut with the razor of emptiness" as Jigme Lingpa says, but is inherently empty. The difference is that within dzogchen nothing is established, which contrasts the Yogācāra view that everything is mind. I take it you're implying that the absolute nature and dependently arisen nature still inherently exist? And that the imaginary nature is the nature which is absent when ignorance is absent? How can the absolute nature be inherently existent? Isn't the absolute dependent upon the relative? If the relative is merely a product of ignorance, upon the removal of the relative the absolute would likewise be negated. We can't have a one sided coin. The dependently arisen nature, emptiness, should negate the imaginary and absolute, along with itself. The inherent nature of phenomena is "absolute" and "dependently arisen"? A dichotomous separation of experience into internal and external is certainly a notion which is product of imputation. Where are you finding an internal field of perception? Or an external? Where is the dividing line between these two fields? There are no internal or external fields. The only things that obscure pure perception are all of these notions which are imputed onto experience. Mere appearance (which is simply neutral experience devoid of imputed conceptual overlay) is precisely thusness. Or are you defining 'thusness' as non-dual perception? Again I'm not seeing where you're locating external phenomena, the only thing that makes phenomena seem external is the erroneous identification with the body (which is ultimately an imputation itself) and the notion that there are internal facets of experience which exist within the body. Perhaps. I would have to read what the differences are in the yogācāra traditions. At any rate, both phenomena and consciousness (and/or the union or separation of the two) are considered empty in dzogchen. "So in D, what is the relationship between mind and rigpa"
Mind is the same as it is in prasanga madhyamaka, completely dependently originated and forming through the same process that everything apparently existent arises from (the 12 nidanas). Mind is called sems in dzogchen and is the driving force behind samsaric (afflicted) proliferation. Rigpa is knowledge of the nature of mind, the nature of mind is the nonduality of the mind's essence (emptiness) and nature (clarity). All dependently originated. Rigpa is equivalent to enlightenment in the classical sutras, it's 100% empty and illusory. Everything is illusory in dzogchen. The term awareness is used alot in d-word translations, and the translations do have the potentiality to convey a very advaita like feel to the teaching when they're merely read at face value. There's also buddhist dzogchen and Bon dzogchen, the bon dzogchen tends to be somewhat more essentialist since it doesn't have a buddhist foundation and it also claims that the dzogchen view of emptiness and the buddhist view of emptiness are different, buddhist dzogchenpas disagree. But overall awareness is also dependently originated and therefore illusory and unestablished. Emptiness is the same, everything that appears is empty. There is however afflicted dependent origination and unafflicted dependent origination. Afflicted dependent origination is appearance which is product of ignorance (ma-rigpa) and unafflicted dependent origination is lhun-grub or the natural formation of the basis.
" The basis in Dzogchen is completely free of affliction, it therefore is not something which ever participates in afflicted dependent origination. Unafflicted causality in Dzogchen is described as lhun grub, natural formation. However, since there is causality in the basis, it also must be empty since the manner in which the basis arises from the basis is described as "when this occurs, this arises" and so on. The only reasons why this can happen is because the basis is also completely empty and illusory. It is not something real or ultimate, or truly existent in a definitive sense. If it were, Dzogchen would be no different than Advaita, etc. If the basis were truly real, ulimate or existent, there could be no processess in the basis, Samantabhadra would have no opportunity to recognize his own state and wake up and we sentient beings would have never become deluded. So, even though we do not refer to the basis as dependently originated, natural formation can be understood to underlie dependent origination; in other words, whatever is dependently originated forms naturally. Lhun grub after all simply and only means "sus ma byas", not made by anyone. Rigpa is not a phenomena, it is not a thing, per se. It is one's knowledge of the basis. Since it is never deluded, it never participates in affliction, therefore, it is excluded from afflicted dependent orgination. However, one can regard it as the beginning of unafflicted dependent origination, and one would not be wrong i.e. the nidanas of samsara begin with avidyā; the nidanas of nirvana begin with vidyā (rigpa)." "Is it a synonym of awareness in those translations?" Not at all, the term awareness is just pointing to the fact of present wakefulness. "Pragmatically, as Dzogchen is taught on the ground, what aspect does the lion's share of the soteriological work?" I'm pretty sure Kagyu focuses on mahamudra, and they actually tend to subordinate dzogchen as just another means no different than mahamudra, when there are big differences. Also the Kagyupas (being that they focus on mahamudra) designate thoughts and emotions as the dharmakaya, and dzogchen does not. "What is the difference between Dzogchen and Mahamudra?" Mahamudra and dzogchen are different methods and therefore end up being different paths. Mahamudra considers the basis (nature of mind) to be the kun-gzhi or alaya, which is the emptiness and clarity of the mind. In dzogchen the kun-gzhi is considered to be the basis of affliction (ignorance) and the basis (gzhi) in dzogchen has nothing to do with the mind. 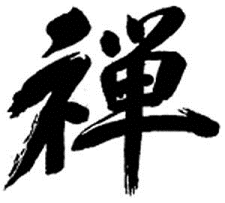 I recently attended a teaching by a guy named Keith Dowman and he was also teaching that the nature of mind was the kun-gzhi, I asked him what the difference is between the kun-gzhi and the gzhi and he said that it has to do with further refinement "purification" and release of subtle traces, but he said for now during that talk there was no need to get into that (being that the crowd in general had some people who were actually just learning of dzogchen for the first time). Vast unoriginated self-luminous wisdom space is the ground of being - the beginning and the end of confusion. The presence of awareness in the primordial state has no bias toward enlightenment or non-enlightenment. This ground of being which is known as pure or original mind is the source from which all phenomena arise. It is known as the great mother, as the womb of potentiality in which all things arise and dissolve in natural self-perfectedness and absolute spontaneity." Jackson then commented: "Some here I am sure struggle with notions 'ground of being', 'the womb in ... which all things arise and dissolve.' These expressions are foreign to most Theravadins..."
"...The ground of samsara and nirvana is the ālaya (ignorance), the beginning and the end of confusion and realization...."
"The etymology of 'kun' (all) lies in it's subsuming everything. The etymology of 'gzhi' (ground) lies in it's accumulation and hoarding (of karmic imprints and propensities)." It is the ground of all phenomena and non-phenomena." In Dilgo Khyentse Rinpoche's quotation where he states that the ālaya is "...the beginning and end of confusion and realization..." he is saying this because the ālaya (being synonymous with ignorance [Skt. avidyā, Tib. ma rig pa]) is the basis for delusion and therefore one can say the ālaya is indeed the beginning of confusion. In the very same sentence DKR also states that the ālaya is the beginning of realization, he says this because due to the fact that ignorance (Skt. avidyā, Tib. ma rig pa) is naturally dependent upon knowledge (Skt. vidyā, Tib. rig pa) the ālaya is also the basis for liberation. The ālaya is the beginning, in the sense that ignorance (samsara) is the starting point on one's path towards liberation (nirvana) and that being the case, one can also say it serves as the basis for the end as well. It is the foundation of purification as well." So the notion of a 'ground of being' is put in perspective. Dzogchen does not posit a ground of being apart from the discursive elaborations of ignorance and imputation. When one's condition is purified of ignorance it is known that reality is non-arisen and unborn... emptiness. Hence the key term in the first translation Jackson cited: 'unoriginated'. The translation of ālaya (kun gzhi) as 'ground of being' is a viable option for translation, though in truth the ālaya is the ground of all 4 extremes (being, non-being, both and neither), leaving it at 'ground of being' (without context) again appears to be advocating for a Brahman-type source of phenomena which is not the case in the least. "This person has confused the Trika non-dual view with Dzogchen. The mind that is the all-creating king, as Norbu Rinpoche makes clear, is the mind that does not recognize itself, and so enters into samsara, creating its own experience of samsara. All conditioned phenomena are a product of ignorance, according to Dzogchen view, and so therefore, everything is not real. The basis of that ignorance is the basis, which is also not established as real.